Designed for and named after one of the top FPV pilots in the world, the new Lumenier QAV210 CHARPU Carbon Fiber FPV Quadcopter airframe is CHARPU’s new go to frame for acrobatic FPV sessions. 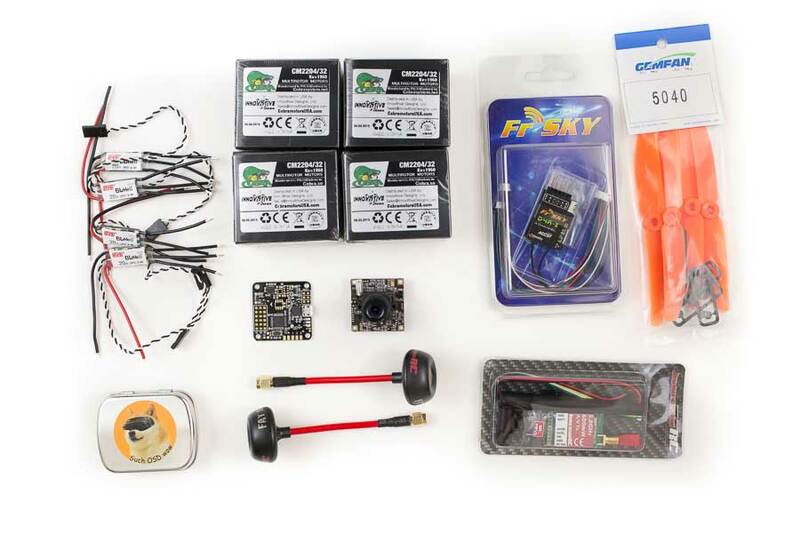 The QAV210 CHARPU is an extended version of the new QAV180, Lumenier’s smallest FPV quad kit to date. The QAV210 CHARPU is designed to be the smallest possible airframe while comfortably supporting 5″ props and 220X size motors. The assembled kit containing Carbon Fiber Plates, Power Distribution Board and all hardware weighs in at only 91g. The included, but optional landing gear adds another 5g. Like it’s popular ‘big brother’, the Lumenier QAV250, the QAV210 CHARPU utilizes high quality 3K carbon fiber that is precision machined for a superb fit-and-finish. The QAV210 CHARPU is an awesome FPV racer and acrobat. The frame is designed to mount a cased camera at a range of angles. Alternatively, the frame also includes a mounting plate to mount standard 32mm board cameras at a fixed 20 degree angle. The airframe is designed to support both 3s or 4s lipo setups and can comfortably carry 1000mah and 1300mah lipos. 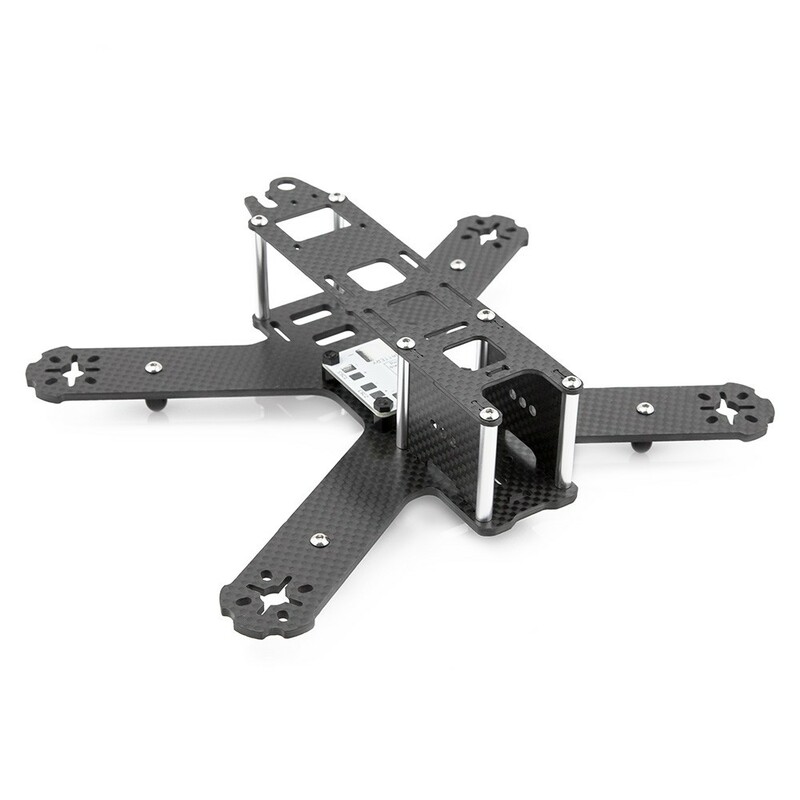 Full 3K Carbon Fiber airframe featuring a solid 3mm thick “Unibody” main plate. Multiple motor mounting holes to fit a variety of motors (M3 and M2 screw mounting patterns). “Bumpers” on the end of the arms to protect the motor during a crash, just like the QAV250. Flight controller cover plate includes cutouts for SMA connector and video transmitter as well as a holder for the included XT-60 Lipo pig-tail. Support for 32mm board cams as well as 26mm cams in cases. Airframe: 91g (with PDB and hardware), 96g with included Landing Gear. AUW: The QAV210 is flown with an AUW of 256-281g depending on motor choice (includes all flight electronics and FPV gear, but without Lipo or HD camera).